The Undead Pumpkin is now finished and he has a name. 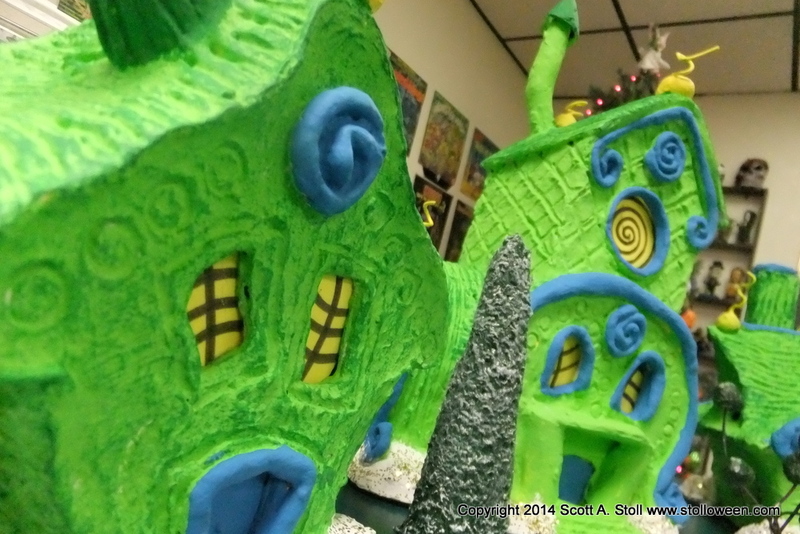 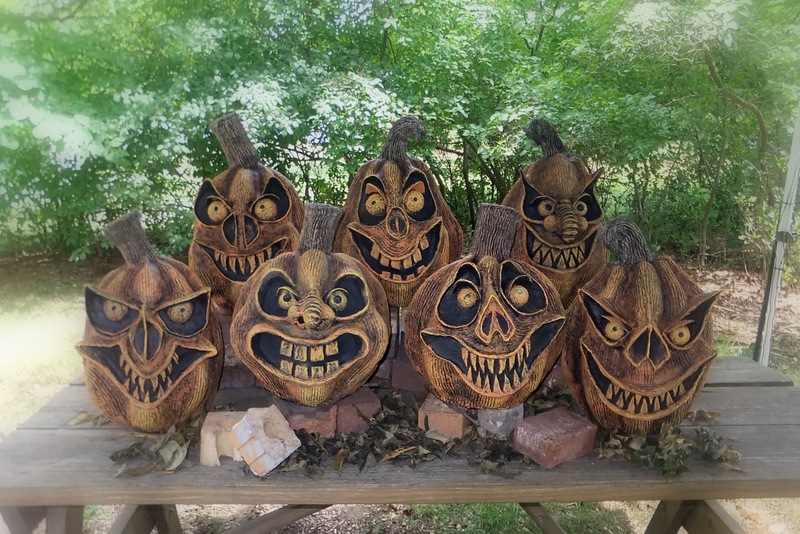 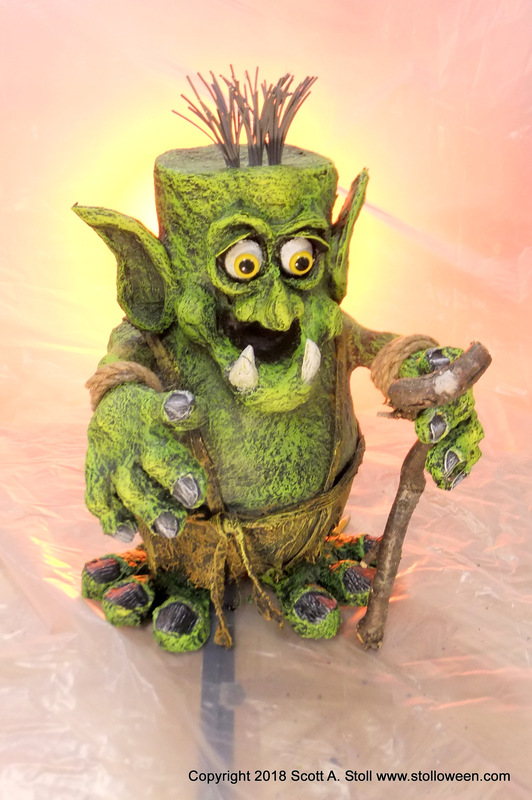 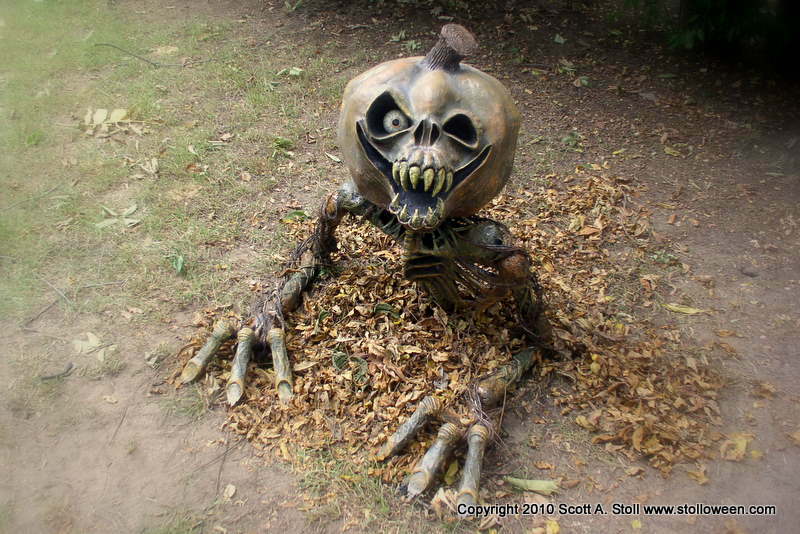 A new tutorial has been posting showing the steps involved in making this evil pumpkin that will be lurking in his new home at The Never Moor. 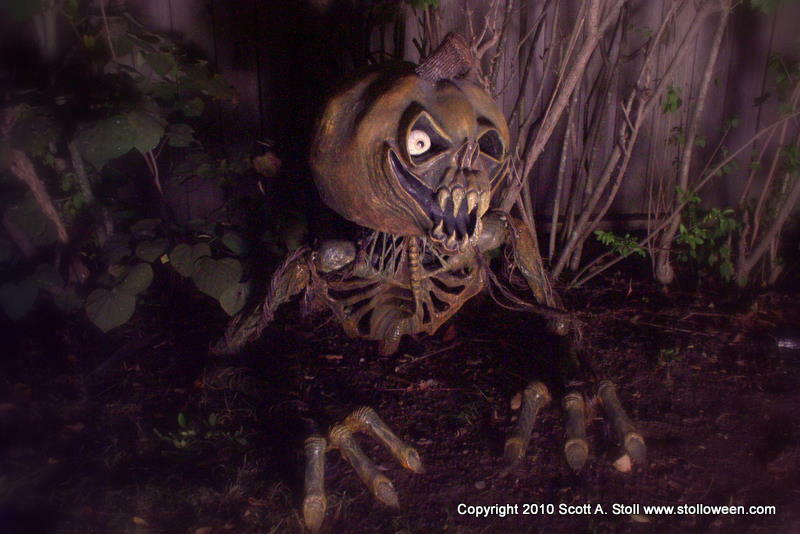 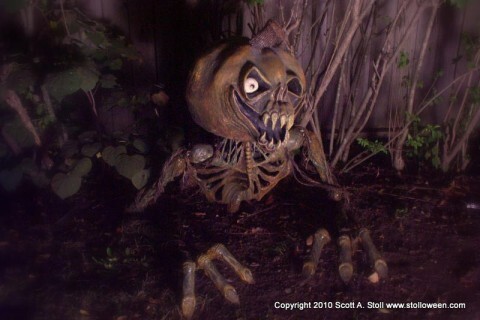 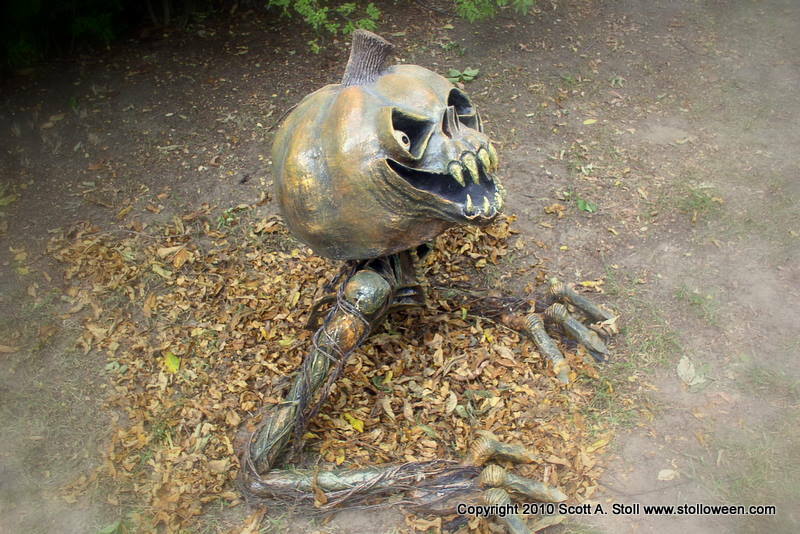 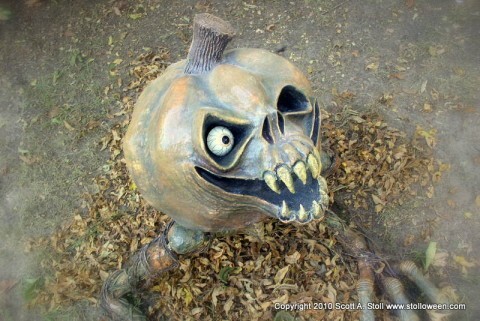 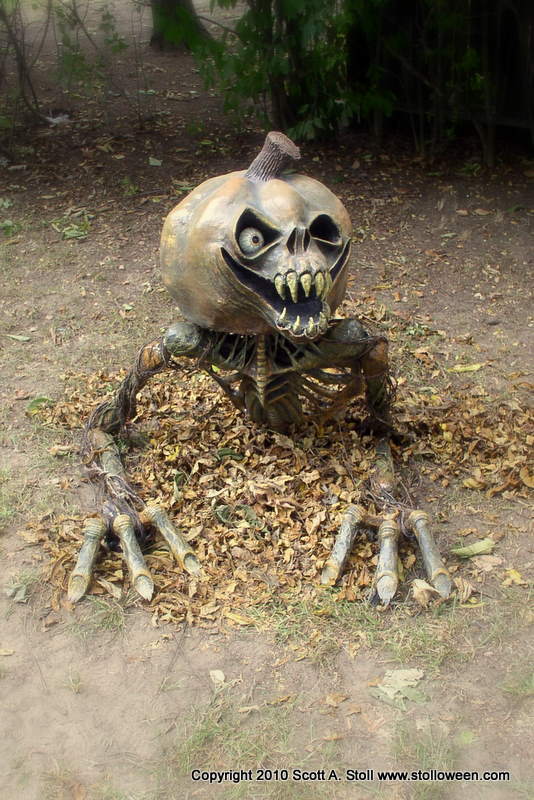 That is one WICKED pumpkin groundbreaker! 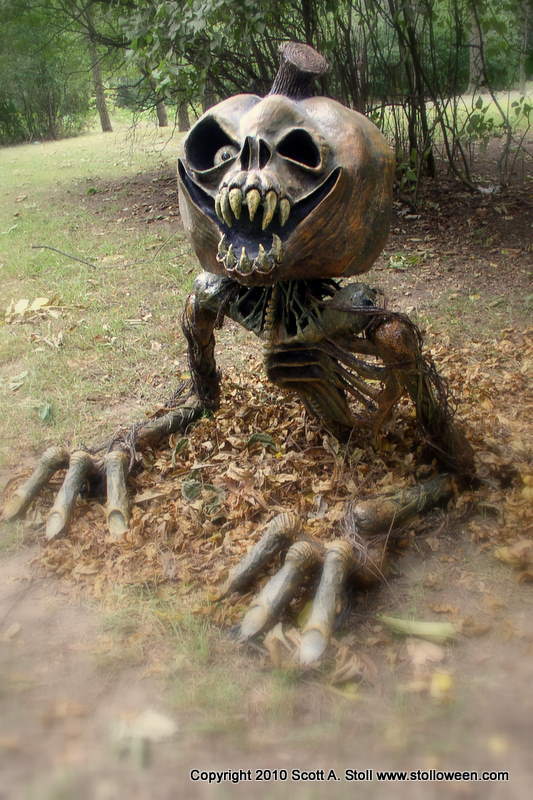 He’s so intimidating in his body language and his face, I’ll be surprised if there aren’t kids too scared to come up the driveway for candy.